2-room apartment in the city of Ashkelon Salon: TV (20 channels), sofa, table and 4 chairs, Fast Internet, mobile phone, incoming calls are free, and there is an opportunity for outgoing calls (replenishment). Kitchen: Refrigerator, mikrovolnovaya oven, electric kettle, mini-mixer, electric, various utensils for cooking and consumption of food. 2-storey penthouse with sea view in a new area of ​​Netanya NAT 600 2-storey penthouse with sea view in a new area of ​​Netanya NAT 600, with all rooms can see only the sea, fully furnished with refrigerator, washing machine, dishwasher, televisions, beds, etc. 2 underground parking. on the balcony of many colors, this picture is not visible in the picture unnecessarily done before. alarm system, intercom. 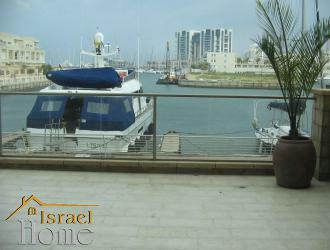 Apartments in Herzliya Pituah, the sea and the yacht club. 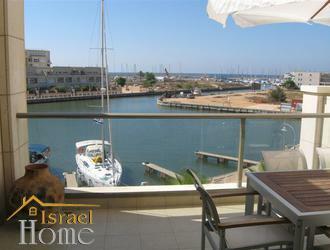 Apartments in Herzliya Pituah, the sea and the yacht club. Luxury apartments in Herzliya Pituah, a gated community with guarded 24 hours a day, underground parking, indoor pool, sauna, spa salon. 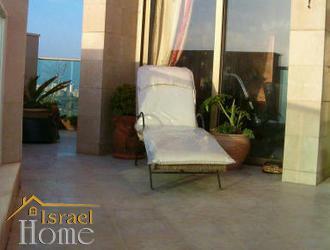 Apartment with two balconies, two terraces with sea views, large spacious lounge. Duplex with balcony in Tel Aviv Duplex with balcony in the city of Tel Aviv. 4 minutes walk from the sea and the city center, a new house, 2 balconies, well discern the sea, underground parking. Total living space: 160 sq. m.
Total living space: 240 sq. m.
You want to relax after a hard year of hard work in the hot sun, a dip in the cool gentle waves of the sea? No need to cross halfway around the world to enjoy the rest. To open a popular tourist resort in the Israeli town of Netanya. 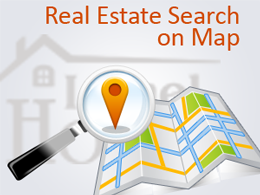 You will not have trouble finding housing,city ​​has more than fifty hotels. However, if you want to rest more comfortably, though with less money available apartments Netanya . Our company has a large selection of rental apartments, which will select the most acceptable standard of living for a reasonable fee, as usual flats and apartments. Not to go into the unknown, it is enough to get acquainted with choice from the comfort of home without breaking the schedule. Заблаговременная аренда квартиры в Нетании позволит сэкономить время, которое вы сможете с большей пользой потратить на отдых. Location Netanya optimally. It is located 25 km north of Tel Aviv, 50km south of Haifa, right in the Sharon Valley. On the one hand one of the Israel's largest cities are in close proximity, on the other hand in Netanya has an individual, unique climate, providing her popular with tourists. Гостям предлагается аренда посуточно в Нетании, как квартир, так и домиков, расположенных на побережье в непосредственной близости от главной достопримечательности Израиля – Средиземного моря. Of course, the most remarkable, alluring destination for tourists is the beach. In Netanya, a nine beaches, which are located along the dvenadtsatikilometrovoy coastal. Each of the beaches has come from all over the world enjoy the best conditions. In order not to go long to the beach, you can take apartments Netanya near the coastal zone. In this case, you do not have to spend money transportation, or trekking, sea will almost always at your feet at the same level of service, which offer tourists the local conditions. Netanya Resort offers tourists a variety of outdoor activities. Leisure activities are diving centers, where you can explore the underwater world of the Mediterranean Sea under the supervision of experienced divers to visit the new unknown world. If you want to see the sea from a height, proposed plan over the sea. Lovers of active and passive recreation can rent a boat, a boat, a boat to explore the sea, or a break awayfrom the bustle of the coast. Given that all types of leisure or relax some require effort, flat for rent Netanya near the sea will be the best solution. Not have to go to the sea along the entire city, and the next day you can quickly gather well rested for new adventures. Of course, there are other types of recreation in Netanya. There are no historical attractions, as the city was founded in the 20's of last century. But you will be offered other equally interesting entertainment. So you can participate in horseback riding through the valley of Sharon, or in horse racing, visitIsraeli dance concerts, which are held regularly. For those who want to see all the attractions of the resort, the best solution would be rent apartments in Netanya on the high street. Here you will discover a great opportunity shopping. You can visit restaurants, cafes with national, European cuisine. And by moving to Independence Square takes you to the park, which has a modern amphitheater a magnificent view of the sea.